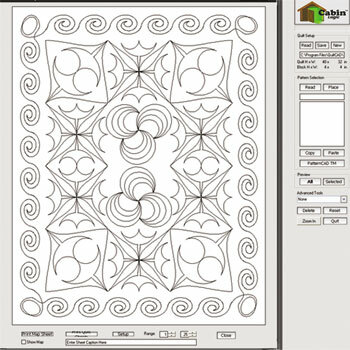 QuiltCAD is an easy-to-use stitch-design software, allowing you to create/layout/print full quilt-top and pantograph stitch designs. Full-fledged Standard Editing Features - Stretch, Flip, Rotate, Copy, Paste, Move, etc. Background Selection - Grid, Clear or Images for Tracing! 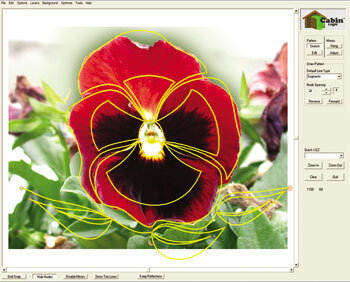 The power of QuiltCAD lies in its simplicity and in its functionality. 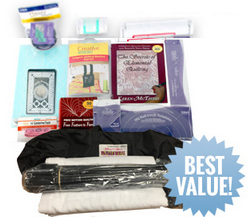 Both QuiltCAD and PatternCAD have been designed from the ground up, putting you, the quilt designer, first and foremost. 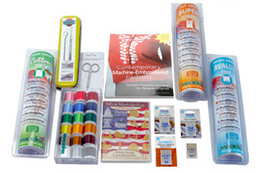 These two fully-integrated applications enable you to go from pattern creation to finished quilt stitching in a matter of minutes. 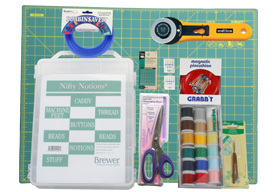 You will be astonished at the ease by which you can create beautiful continuous line patterns and quilt stitch designs. 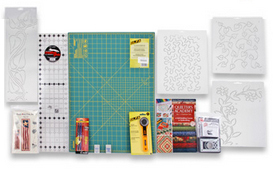 Simply choose a pattern to create a full pantograph or quilt layout. create an entire quilt layout by selecting a single pattern. 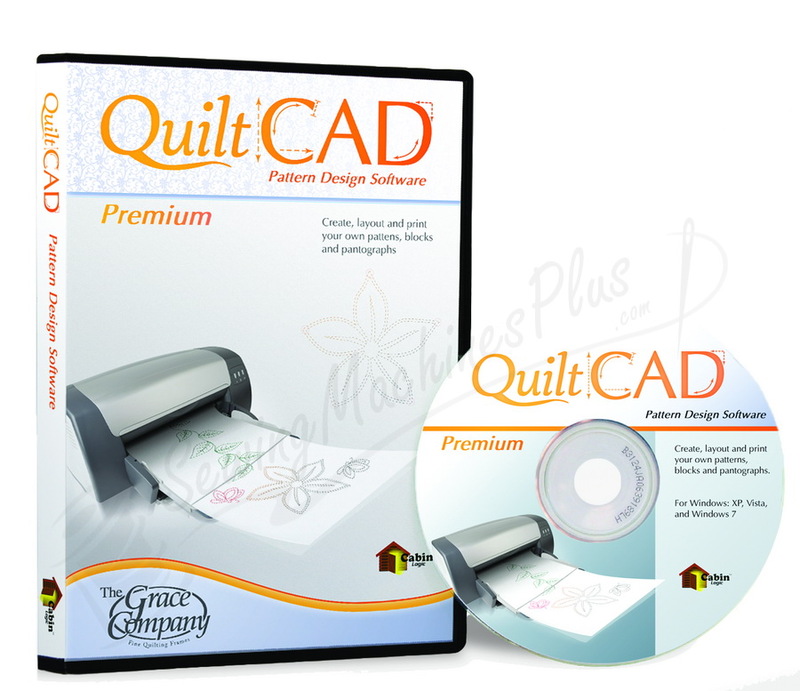 QuiltCAD includes over 100 patterns, but it also has the ability to allow you to design and print personalized patterns. QuiltCAD also allows you to develop patterns based on imported photos and images--making your designs come to life on your quilt! 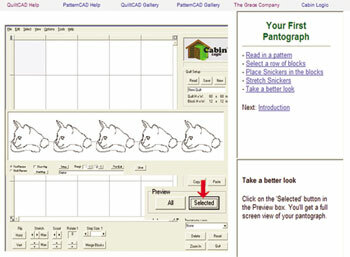 QuiltCAD has easy to follow tutorials, and you are able to save your designs for a later time. Download the latest update for this software below. 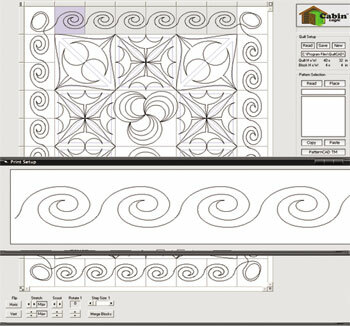 QuiltCAD Quilt-top Stitch Design Software!